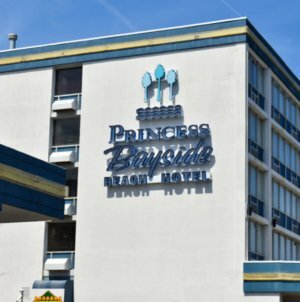 On Dec. 2, The Daily Times reported that the Lankford Hotel, a historic hotel that sits on the Boardwalk at 8th Street, was listed for sale by Coldwell Banker on Nov. 30 for $16 million. 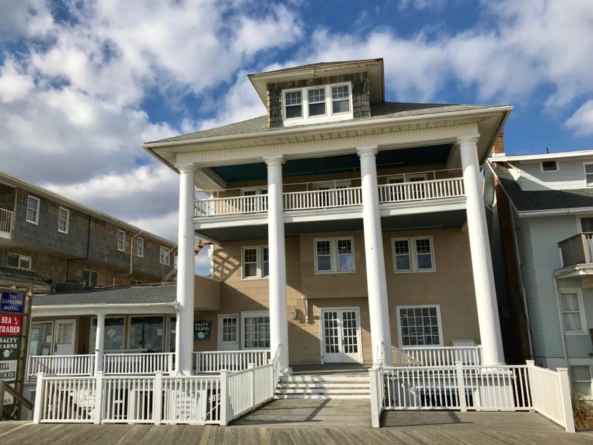 The sale includes the entire property, which is made up of the main hotel, the nine-apartment Ayresbuilt, the three-floor Sea Robin, the Lankford Lodge, and six commercial storefront properties on and below the Boardwalk. 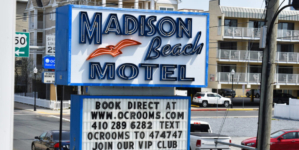 The Lankford is said to be one of the best-preserved old hotels in Ocean City. 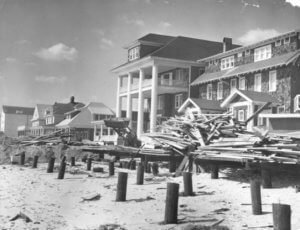 Boards and debris in front of the Lankford after the storm of ’62. Built in 1924, the Lankford hotel has remained in the same family for its near-century lifetime, through four generations of female owners. 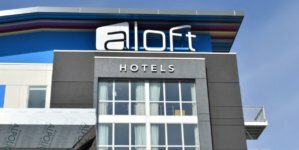 The original owner was Mary B. Quillen, who named the hotel in honor of an inheritance she received from her aunt, Amelia Coffin Lankford. Quillen ran the hotel until 1964, when ownership was then transferred to her niece, Betty Frame, and Betty’s husband, Warren. The Frames took over just four days before the infamous storm of 1962, which “proved to be an omen of things to come” according to the Lankford’s website, though the hotel remained standing and weathered many storms that damaged the hotel’s basement and its lower-level stores. In 2013 the hotel received its 15 minutes of fame on the Travel Channel show “Hotel Impossible.” Citing the recent economic downturn for the hotel’s low occupancy even in peak season, owner Mary David contacted the producers, and hotel management expert Anthony Melchiorri and his team soon arrived to transform the hotel and document their progress along the way. 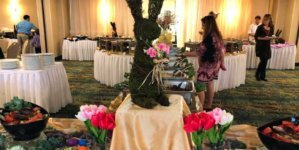 While they’d previously only accepted in-person payment in the form of cash or check, Melchiorri had a reservation system installed that would accept credit cards and process online payments. He had their website updated, and designer Blanche Garcia remodeled the guest rooms for a more modern and beachy, rather than dated and ’70s-era, look. 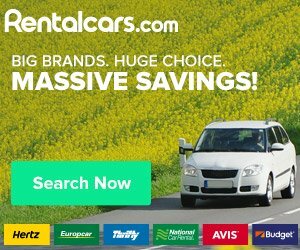 An update at the end of the episode said that the family had rented out three of their commercial spaces, where their own stores hadn’t been making much profit. 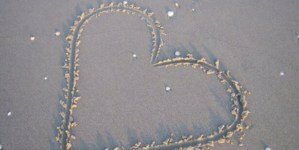 It also appeared that by the end of the episode, communication within the family had improved. Many tears were shed on camera during the hotel’s overhaul, but the episode’s end suggested a promising future for the family business. 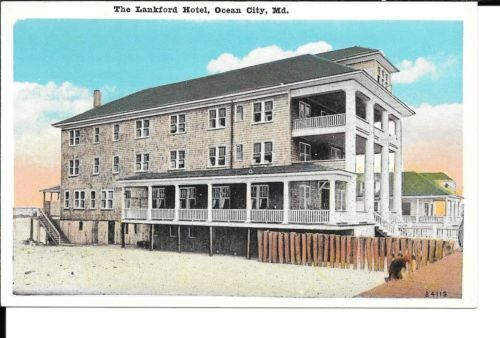 Vintage postcard of the Lankford Hotel.